Customers were not just interested in "transacting"; they were interested in how the companies they support impact the world. But it wasn’t just Tomorrow Energy customers who were interested in this-the entire company was too. "We all want to go home from a hard day’s work and feel like we are making a positive impact in the world. 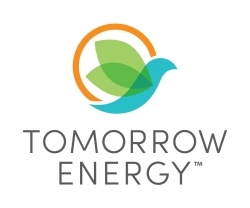 That is what Tomorrow Energy, and our mission-based focus, is all about," Paul Keene said, CEO. Tomorrow Energy’s launch may have taken place this week, but the business has been busy building the core foundations for growth for quite some time. Almost two years ago, Tomorrow Energy’s predecessor business relocated to Houston from Las Vegas, and hired Keene to revamp the business strategy and grow the business. He got to work quickly, recruiting a leadership team with deep industry expertise from the industry’s largest competitors. This team shared a desire to set the business on a new mission, incorporating what they liked from their prior employers, but leaving behind the things they didn’t. The result has been a culture that, in Keene’s view, is critical to Tomorrow Energy’s success. “Management guru Peter Drucker once said that ‘culture eats strategy for breakfast’ and this is something that we live by. It’s not to say that strategy is not important, because getting the strategy right is critical. But it’s hard to get the strategy right if you don’t have a culture that shuns bureaucracy and fosters debate and innovation.” The approach has paid off, with business growth approaching 50% over the last 18 months. Tomorrow Energy aims to create positive impact in the world starting at home by giving customers more clean energy choices and using our efforts toward good by being active stewards in local communities. They can be reached by going to www.TomorrowEnergy.com. Media contact is Donna Wick / DW Omnimedia at 832-790-2879.